Now Available for e-Sword, e-Sword HD (iPad/iPhone), TheWord, and MySword formats! Close to 3,000 pages of material. That’s what is included in this collection. This commentary set is a collection of the extensive notes taken by Bradley Cobb during two intense years of studying the Bible preaching school from 2008-2010. Each book of the Bible is covered in this set (except Song of Solomon and Mark). Literally over a thousand hours of work have gone into the production of this e-Sword file. 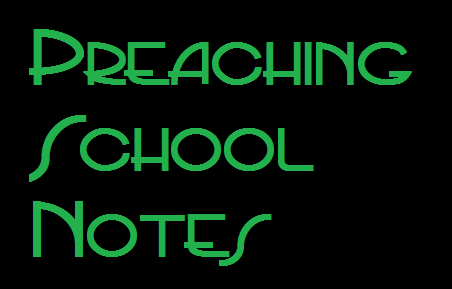 The notes in this commentary file are accurate representations of the lectures given in the classroom during this time. Due to the amount of time and material to be covered, some books have more thorough notes than others. For example, the notes on Matthew (covered in one quarter) are far more extensive than the notes on Leviticus (which was combined with Exodus, Numbers, and Deuteronomy to be covered in one quarter). Any typos in this file are completely the fault of Bradley Cobb, who was typing as fast as his fingers would allow. This valuable and useful file is available at the amazingly low price of $5.00.